A great cataloging of all the G.I. Joe figures, gear and equipment from 1964-1978. Glossy book with color and black and white photos, descriptions, history, packaging, uniforms of G.I. Joe product. A great source for identifying rare figures and much more! Appears unread and new. 173 pages packed with real-life stories and photos of ghost sightings, hauntings and encounters in and around the Pittsburgh area. Amazing research and interviews wrapped into spooky stories by Beth Trapani and Charles Adams III. A classic Scholastic young reader mystery! By Clyde Robert Bulla. Illustrated by Don Freeman. A grandfather's diary and the Gold Rock ghost town. You boy Ty's adventure has just begun. 1966 edition. Book is used and has wear. Teacher marking on inside front cover. A great one! Ths book features stories that became classic horror movies. Background on the movie and the story for each film by original authours. Includes photos. Used with some wear. Pages slightly tan with age. Had this book when I was a kid! Hard cover with dust jacket. 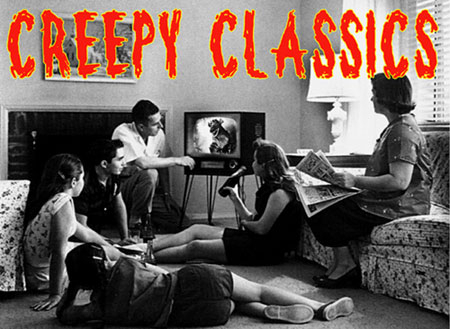 Ths book features stories that became classic horror movies. Background on the movie and the story for each film by original authours. Includes photo plates in center of book. Used with some wear. 1971, pages slightly tan with age. Had this book when I was a kid! Two boys find a piece of equipment from a UFO! When they try to return it, adventure and scares are in store. A 1970 Scholastic paperback. Some teacher marks on cover and inside font cover. Otherwise, good shape with great pen and ink illustrations. In the tradition and format of the Magic Image Film Series books, this oversize softcover features the original shooting script from GORGO (1961). Background information, history and interviews by Bill Cooke. Rare photo stills and publicity art. Beautiful luxury hardback with embossed cover, new! 478 pages of horror stories from the Bram Stoker. Horror stories and novels: The Judge's House, The Invisible Giant, The Jewel of the Seven Stars, Dracula, Dracula's Guest and many more. Gorgeous book for your library. Beautiful luxury hardback with embossed cover, new! 479 pages of imagination from the great H.G. Wells. Horror stories and novels: The Red Room, The Stolen Body, The Time Machine, The Valley of Spiders, The Invisible Man and many more. Gorgeous book for your library. A classic Scholastic book that's a pretty in-depth introduction to horror films! By Favius Friedman. 160 pages with lots of photo inserts. Pen mark on cover and kid's name on copyright page. Otherwise it looks like it was never read. Tight spine! From the Frankenstein monster to King Kong - all the classic monsters are back in this young adult book on films. By Robert K. Davidson. Covered: Madmen, monsters, outer space terror movies, mummies, science gone wrong and loads of photos. Used paperback from 1978. This is the actual first edition from 1970. Hardback with dust jacket (tear on back, with some wear). An encyclopedia of movie stars. Amazing. 576 pages!!! Photos and histories. Comprehensive study of all the great actors and actresses in classic film. Glossy hard cover large book featuring super hero toys...Green Hornet, Superman, Batman, Sgt. Fury, The Hulk, Captain Action...they're all here. Color photos throughout. Chronicled by super fan Steven Kimball. Great, great fun seeing all the toys and merchandising. Published in 1988. By Carla Laemmle and Daniel Kinske. Forward by Ray Bradbury. Illustrated by Jack Davis and Hermann Mejia. Delightful little book wriiten in verse on Carla's growing up on the Universal Studios lot in the 1920s-30s. Illustrations and photos. 37 pages. Gloss cover of The Phantom of the Opera.